I got hooked watching 30 Rock in the middle of its fifth season and am happily enjoying the comedy series now well into its sixth. During these past few days of my spring break, though, I’ve marathoned and caught up on the first five. It’s a legendary show. As a fresh member of TV’s sought-after 18-39 year old audience, I’m putting forth some unsolicited commentary because that’s what bloggers do. The first thing I have to say about 30 Rock is that a lot of it’s humor is nuanced and smart—it isn’t always raw slapstick. In many cases, you have to think before you laugh and, sometimes, it’s even powerfully satirical. But combined with ridiculous scenarios, its cleverness lets 30 Rock be one of the few sitcoms that actually makes me laugh out loud. It’s hard not to empathize with at least one or two of the characters, whether it’s the grounded, quirky, food-loving Liz Lemon, the Machiavellian Jack Donaghy, the pure-of-heart and immortal Kenneth Parcell, the attention-hungry Jenna Maroney, the blunt Tracy Jordan, the neglected Harvard alum “Toofer,” or even the coarse Frank Rossitano (and Lutz too, I guess). 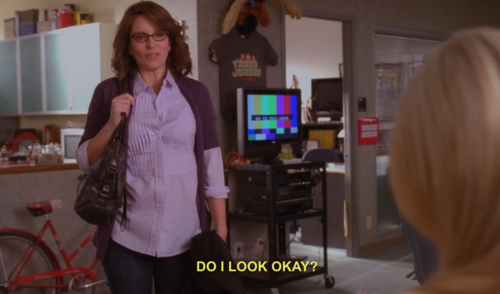 The fact that 30 Rock is a show within a show gives it the rare originality badge. A lot of the show’s punchlines poke fun at network television bureaucracies, shine a spotlight on behind-the-scenes shenanigans, and give audiences a hilarious perspective of showbiz. Props to Tina Fey, who created and stars in the show. They say laughter is the best medicine and 30 Rock is a witty, unconventional, hit-the-spot dose of it. The writing is genius. I think it’s the best show on TV and it’ll always have a special place in my soul.